The Daily Telegraph | LIT.GAZ. Newspapers have been around for well over three centuries, and one of the things that interested me as a child was that my home town claimed the oldest local paper in the land, the Lincoln, Rutland and Stamford Mercury as it was then. I cringe at having been brought up reading the Daily Mail, a rag the country should genuinely be ashamed of. But at boarding school we were provided with The Guardian and The Times and it has been the former that I’ve stuck with all my life. Newspapers were serious publications; I say were advisedly, for they have changed beyond all recognition in my lifetime. They used to be straightforward, black and white publications with perhaps sixteen to twenty broadsheet pages, containing news, sport, a couple of pages of comment and analysis, and different pages on different days reviewing concerts, books and the like. Today we have largely tabloid newspapers, in colour – often lurid – and several sections: far more paper, and far more froth and knitted words filling them. It often seems that any nonentity who can’t write a sentence can be a columnist. And all the lifestyle nonsense and celebrity stuff, even in the most serious of papers. The Daily Telegraph – known as the Morning Fascist to me (know your enemy) – used to be a serious newspaper of record in which one could ignore the rabid columnists and laugh oneself silly at the Peter Simple column. Now it is a shadow of its former self. Television and the internet have happened, and newspapers in Britain don’t know what to do with themselves. The Germans have the answer, I feel: serious and sober, few concessions to the latest trends, it seems, and focusing on quality, in-depth reporting and analysis. Le Monde used to do this in France – a newspaper famous for not using any photographs at all back in the old days. But it has changed, and caught the British disease. 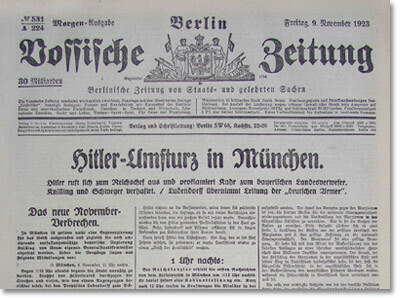 And Liberation, which mocked everyone and everything, a newspaper for anarchists – look at it now! And the culture of local and regional dailies helps both France and Germany avoid most of the worst excesses of our gutter press. Let’s be serious for a moment. I’m not buying a newspaper for news any more. News I get online. Even newspapers recognise this and go to print earlier and earlier in the evening. So what can a newspaper offer that the web and television can’t? In-depth reporting, and serious political and social analysis still reads better – to me, but am I just old? – in print. Articles about culture, books, education and music are plentiful online, but I like reading good writing in print. Do I need colour for this? Not very much, to be honest. And do I need a dose of this every day? Again, probably not. A decent newspaper could probably come out twice a week, just as some did a couple of centuries ago, or even weekly, which is what Sunday newspapers do, or in countries like France and Germany where the culture of the weekly news magazine is still strong, what magazines like L’Obs or Der Spiegel do. Newspapers are wrestling with how to survive and make money in the internet age, but do not seem to be trying much that’s new. 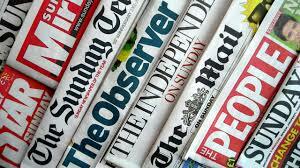 Where is micro-payment for articles, where are sensible and clear subscription options in Britain? I feel awkward – I won’t admit to more than that – reading so much stuff for nothing, and I block ads because newspapers farm out advertising to all sorts of weasels who spray malware in all directions. I’d pay for stuff if there was a sensible way and I knew what I was getting if I signed up to a subscription deal. I’ve tried several times to get The Guardian to tell me what exactly I would get for being a subscriber and they haven’t responded… so no money from me. I can’t see newspapers actually disappearing – though I’d like the Sun and the Daily Mail to, and The Independent has vanished from print, but what will I be reading in ten years time? I discount television and radio, which are by nature less detailed. Television is more concerned with images, even though a picture may perhaps be worth a thousand words. Nowadays it’s about mugshots of nonentities standing pointlessly in front of buildings and holding forth in a few sceonds about issues that need hours… Radio sometimes does better; some programmes on BBC Radio 4 and the World Service are dedicated to analysis in depth. It is the downhill path of almost all the printed media, particularly in this country, that concerns me most. 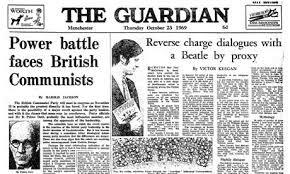 We once had a quality press that could be counted on to consider important issues with some seriousness. The Guardian excelled in many fields, particularly analysis, the Daily Telegraph in the scope and depth of its news coverage. The Independent used to be serious and once lived up to its founders’ ideals. I’m certainly not convinced it’s just about my growing older, but all the papers seem to aim at frothy lifestyle coverage more than serious news, all aimed at a younger readership who are less likely to buy printed newspapers, and in the process are driving away older readers who might. I know we will eventually fall off our perches (that’s the story of the Daily Express par excellence), but meantime we might buy the papers and respond to the adverts. It’s the fact that one needs to write at length to explore and analyse a topic thoroughly that’s at the heart of the problem: today’s reporters (!) and readers either have, or are judged to have, the attention span of a hamster. In English, serious and lengthy commentary appears in the London Review of Books and the New York Review of Books, but, although they do print more general articles, they are, as their names suggest, primarily about books. 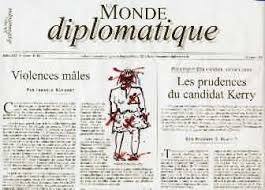 Le Monde Diplomatique (do not let the title put you off) allows its reporters and analysts the space – one or two full pages, quite often; they write knowledgeably and analyse in depth, from a left-wing perspective. And the magazine is available in lots of different languages. Increasingly I respect and rely on its analysis. There are no pictures (!) 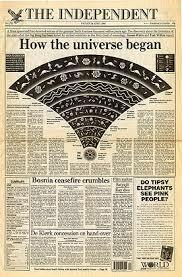 and a dossier most months consisting of a series of articles examining a particular issue of world moment. How important is all this? I’ve had a bit of a rant here, and don’t apologise for it; I always used to tell my students to beware of anyone who came along offering simple solutions ot problems. Intelligent people deserve better than what the British press currently offers them. It occurred to me that I have spent a lot of time reading newspapers; I’ve been fascinated by them since my youngest years, and indeed have collected them since then, newspapers from all parts of the world bought back by friends and acquaintances who have visited far-flung parts, and newspapers recording great events during my lifetime. Note to readers: I’m still looking for a newspaper in Mongolian script, from that country…). I remember exploring derelict houses looking for old newspapers in my younger days, and finding them, too. 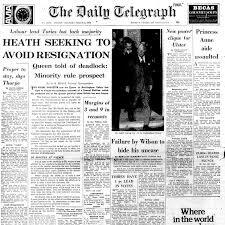 Newspapers contain frozen glimpses of the past, and that’s one of the reasons I find them so appealing: a history book has an overview, the benefit of hindsight, reflection and analysis, whereas a day’s paper only has what is known up to the previous evening, along with the unknown. So, my copy of The Daily Telegraph dated 7 June 1944 tells us that the Allies have successfully landed in Normandy – that’s all. Yes, now we know that they weren’t flung back into the sea by the Nazis, but readers on that day didn’t, and their perspective was different, and it’s only by going back to the newspapers of the time that we can perhaps understand that. Newspaper history seems to me to fall into four eras. 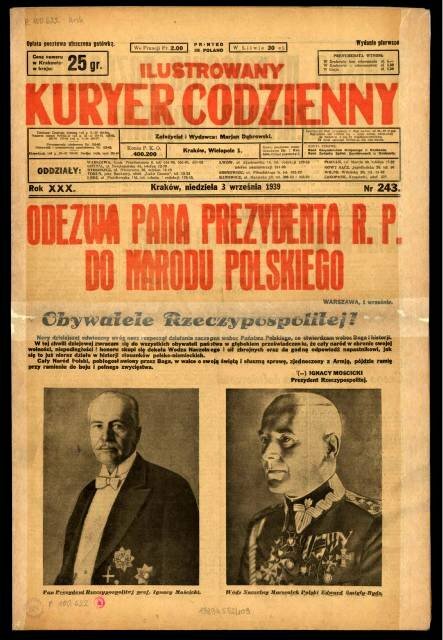 There is the period of print only, lasting from the seventeenth to early twentieth century: very sober-looking newspapers, with small print and small headlines, usually only the width of a single column. Pictures appear after the end of the Great War; there are what we recognise as headlines, there are greater efforts with layout and design, and often newspapers of considerable beauty. When we get to the 1990s, colour begins to replace monochrome, eventually driving it out completely, and often producing something rather garish, too concerned with being eye-catching rather than informative, desperate to be as good as TV when that wasn’t possible. And the most recent transformation is still ongoing, with the transfer from print to the web; no-one is sure how far this will go, whether print newspapers will survive or disappear, and whether this will be any great loss or not… Personally, I can’t see the daily print editions of newspapers surviving much longer; I think we may revert to weekly editions, perhaps more magazine-like; indeed this seems to be happening in some countries. 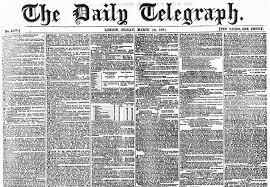 Britain has some of the oldest newspapers in the world, such as The Times, The Observer and The Guardian; other countries have had to re-invent their press after the Second World War, such as France, where all the dailies had collaborated with the wartime regimes and were shut down; newspapers had to be re-invented in Germany too, many having disappeared voluntarily post-1933 and the rest having been assimilated into the Nazi press. 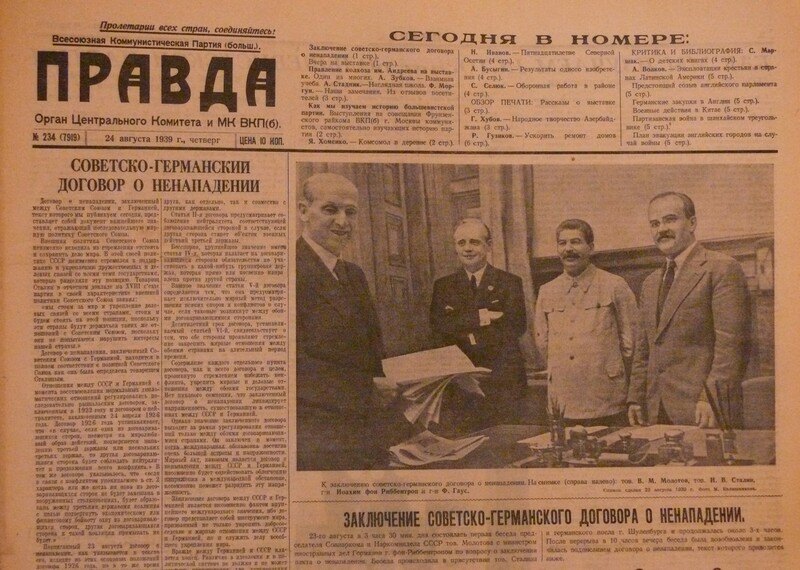 Post 1989, many of Eastern Europe’s newspapers have managed to re-invent themselves after being government mouthpieces for many years… you can still get Pravda, though Lenin might not recognise it! Newspapers are ephemera. Many items in my collection are yellowing and crumbling. They were perhaps much more powerful in the past than they are now, sidelined as they are by television and the internet, with plummeting circulations and increasing irrelevance. But their disappearance would be a great loss, I think.